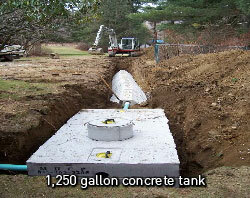 The tri-galley is a concrete unit with a large cavity. 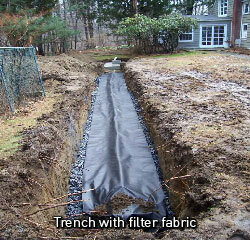 Tri-gallies can handle a large capacity of waste water over a short period of time. Tri-gallies are larger and stronger than infiltrators, handling more liquid volume and greater stress. 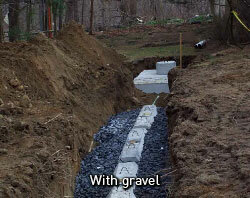 As with other septic systems, tri-gallies are best used with gravel. 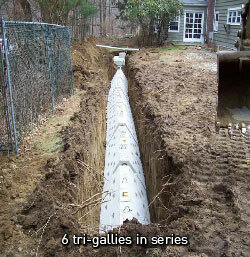 When are tri-galley septic systems used? One alternative septic solution is the tri-galley septic system. 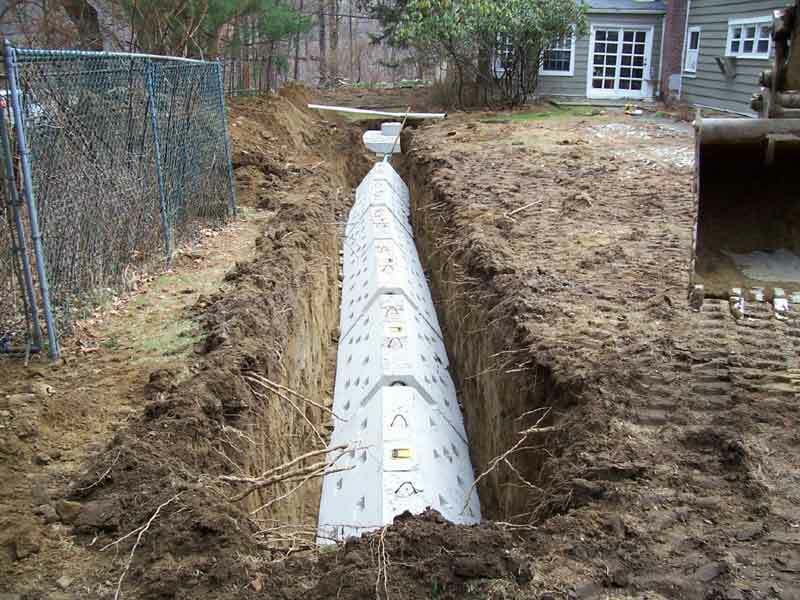 Precision Excavating Inc. recommends such a system when the septic area is in a location where vehicles may need to go, such as a driveway, or when the system needs to handle a large volume of waste water. Tri-gallies are commonly used in commercial applications.